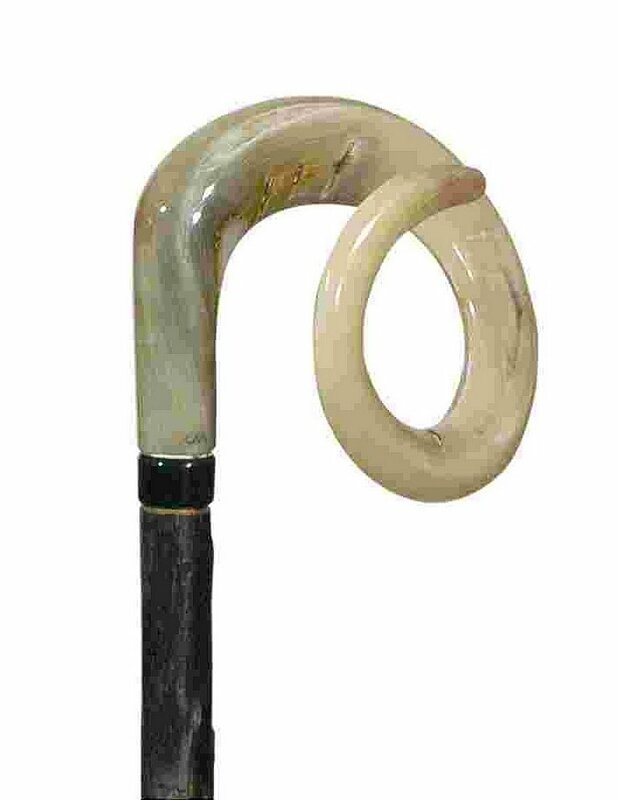 A very original and eye-catching walking stick, suitable for a collector or as a special present. The gleaming handle is hand made from highly polished ramshorn, whilst the shaft is made from the coveted blackthorn wood. The ferrule and collar are made from horn. Overall height is between 92-95cm (36"-38"), depending on the curve of the horn. I would like more information about Country Curly Ramshorn Crook by Classic Canes.